SAN FRANCISCO, CA--(Marketwire - January 25, 2011) - Zendesk, a web-based help desk software provider, today reported year-over-year revenue growth of more than 300 percent in 2010. The company also tripled its customer base with more than 5,000 customers including such fast growing companies as Groupon, OpenTable, and Zappos Insights as well as established brands like Adobe and Sony Music. "2010 was a year of tremendous growth for Zendesk," said Mikkel Svane, CEO of Zendesk. "We received $19 million in funding from investors and launched several new product capabilities, including Twitter and Salesforce integrations and BlackBerry and iPhone applications. We have now spread good help desk karma to a total of 22 million users. As we move into 2011, we're poised for even a better year ahead." To help manage its continued growth, Zendesk also announced the appointment of Zack Urlocker as Chief Operating Officer. Urlocker brings over 20 years of management and marketing expertise to Zendesk. 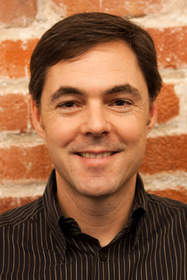 Most recently he served as Executive in Residence at Scale Venture Partners. Previously, he was Executive Vice President of Products at MySQL, helping to grow the company's revenues to approximately $100 million before the company was acquired by Sun Microsystems. "Zendesk is wildly popular with customers because it's so easy to use," said Urlocker. "Zendesk is a cloud-based solution that enables companies to deliver outstanding customer service, something that is increasingly important in today's economy. I am thrilled to have the opportunity to contribute to the next phase of the company's growth." Zendesk provides scalable, web-based help desk software with an easy-to-use support ticket system and self-service solutions that allows organizations to easily adapt as their businesses evolve. That is one reason why it is being rapidly adopted by fast growing companies like Groupon, a company that features daily online deals on the best things to do, eat, see and buy in more than 500 local markets worldwide. "Our more than 150 customer service representatives handle nearly 15,000 support tickets daily," said Joe Harrow, Director of Customer Service at Groupon. "To manage this volume of tickets, we use Zendesk to keep our customers happily coming back for more deals. Zendesk is not only intuitive to use, but because it's a web-based solution, it scales to support our increasing volume or requests." Zendesk is a leading provider of web-based help desk software that is reinventing how companies engage with their customers. The company serves more than 5,000 businesses large and small, including Groupon, MSNBC, Twitter and Rackspace Cloud. Zendesk products are easy to customize, integrate, and use so companies can quickly start offering better customer support. Founded in 2007, Zendesk is funded by Charles River Ventures, Benchmark Capital and Matrix Partners. Learn more at www.zendesk.com.